Naugaon block BJD president resigns, holding responsibility party’s failure occupying block chairperson post. Report by Kahnu Nanda; Jagtsinghpur: The Naugaon block BJD president Sujit Mallick was resigned from the post on Tuesday , in this regard he has sent his resignation letter to BJD supremo and Chief Minister Naveen Patnaik and district BJD president state planning board vice chairman Bishnu Das citing his concern over party’s failure occupying block chairperson post. In his resignation letter Mallick has expressed disappointment and own moral responsibility for bagging block head post besides Party had bagged majority Samiti Members capturing chairperson post. Sujit a political science post graduate represents Dalit community from Naugaon area had assigned block BJD president post following blessing of district BJD president Bishnu Das 10 months ago, his wife Elina Das a former zilla Parishad member had contested this year Panchayat elections as candidate for the Samiti Member of Bansa Panchayat but she lost election against Congress contestant by slender margin of votes. 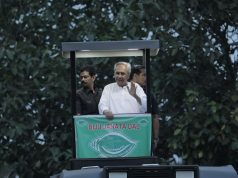 Sources added that she had proposed candidate for the Naugaon block chairperson post following Sujit allegiance to BJD and chief minister Naveen Patnaik past 17 years. Apart from the just concluded GP elections results in Naugaon block two ZP seats had captured by BJD and its supported candidates had bagged 10 Sarpanch’s and 8 Samiti Member’s out of 16 Grama Panchayat’s spread in Naugaon block , block BJD chief Sujit had been praised for the results but trouble surfaced following selection of candidate for the block chairperson post when BJD had been lacking one Samiti Member shortage for getting majority in Panchayat Samiti. Meanwhile BJD president Bishnu Das had convened meeting with party supported Samiti Members selecting a unanimous candidate for the block chairperson post soon after the election results declared, after several deliberations one Jagannath Das had proposed for the post but sources informed that Sujit had opposed the endeavor and candidature of Jagannath Das, a news had been flying thick among Sujit supporters that the former had been worked for defeating Elina Das the incident had shocked Sujit as consequence he disapproved Jagannath candidature. 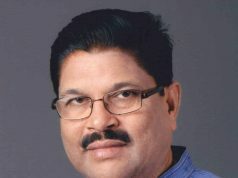 When Panchayat Samiti chairperson election progressed Jagannath remained disappearance from Naugaon area and surprisingly on Election Day he resigned from the BJD and contested as an independent candidate for the block chairperson post, later he elected gaining support of 6 congress, 1 BJP and 1 independent Samiti members and BJD’s official candidate had defeated. After BJD lost the block chairperson post lacking proper floor coordination and ground works Sujit had been blamed in BJD circle that forced Sujit to quit the post finally he tendered his resignation on Tuesday, sources said. 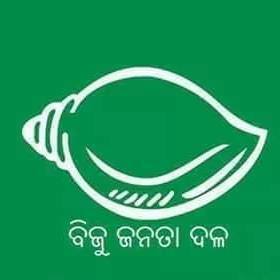 BjD district president Bishnu Das clarified that Sujit’s resignation has not accepted progressing for consideration and supplemented Sujit’s accolades making party’s victory in Naugaon block during just ended GP elections.